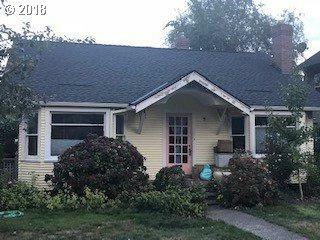 This will be ready for buyers who have been looking for the prime West Moreland/Sellwood location & priced to sell to allow opportunity for new owners to make it their own HGTV home! Vintage 1924 home with coved ceilings & bay windows, hardwoods w/ authentic character. Extra bonus area in basement w/half bath. Carriage house in back, Possible ADU? Fenced backyard. New roof, exterior paint & deck. Just needs interior updates & some TLC!